Cranes are fun! In Little Crane you can operate a wide ranges of cranes.You can even fly a sky crane if you want.Over 14M users can&apos;t be wrong: the challenges are entertaining. The incredibly realistic simulation gives you full control over your crane.Repair bridges, load cargo trains, reconstr... Lihat lebih banyak Cranes are fun! 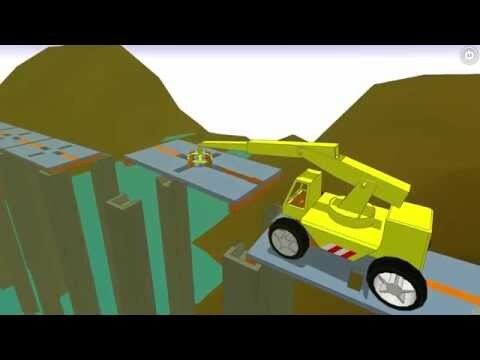 In Little Crane you can operate a wide ranges of cranes. Over 14M users can&apos;t be wrong: the challenges are entertaining. The incredibly realistic simulation gives you full control over your crane. Repair bridges, load cargo trains, reconstruct ancient temples, move houses: it is all possible in &apos;The Little Crane That Could&apos;. - launch game, it will say &apos;restoring purchases&apos;.